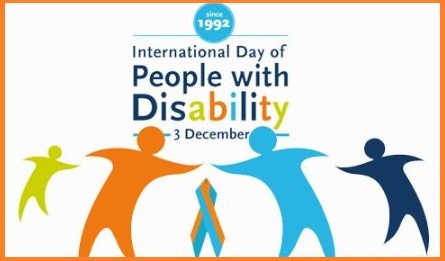 International Day of Persons with Disabilities or World Disability Day is observed on 3rd December every year around the world to promote the awareness about the people with disabilities as well as to encourage them by implementing a lot of assistance in their real life to enhance their way of life and remove the social taboo towards them. International Day of Persons with Disabilities 2018 theme is 'Empowering persons with disabilities and ensuring inclusiveness and equality'. The 2018 theme focuses on empowering persons with disabilities for an inclusive, equitable and sustainable development as part of the 2030 Agenda for Sustainable Development. International Day of Persons with Disabilities was declared by the United Nations General Assembly (UNGA) Resolution 47/3 in the year 1992.
International Day of Persons with Disabilities aims to uplift the rights and well-being of persons with disabilities in all spheres of society and development and to increase awareness of the situation of persons with disabilities in every aspect of political, social, economic and cultural life.